Debt consolidation involves methods of combining multiple payments, loans, or debts owed into one payment. This can make debt more manageable for those who are juggling several debts simultaneously. Debt consolidation can take a few different forms. Debt Management Plans and Debt Consolidation Loans are among your options for debt relief. A debt consolidation loan is a single loan that combines and takes the place of multiple debts or loans. This type of loan makes the most sense when the debt is in the form of multiple credit cards. Instead of struggling to make several different credit card payments each month, you would make a single payment to a single lender toward all the debts. A consolidated loan has the potential to help improve your credit as you make consistent payments. The lender of a consolidated loan has essentially purchased your debt from your various debtors, and while you are still responsible for paying these debts, your credit card debt will be paid and you can focus on repaying your loan. Debt management plans are available for your enrollment through credit counseling organizations. Similar to a consolidation loan, you pay one amount to the credit counseling organization instead of paying various monthly credit bills. The counseling organization will in turn distribute your payment among the creditors. The credit counselors can work with lenders to determine a payment schedule and will analyze income and expenditures to figure out an appropriate monthly payment. The idea is to reduce or eliminate unsecured debt over a certain period of time. Debt management plans can provide much needed assistance with organizing spending and finances, making timely payments, and creating goals and budgets. 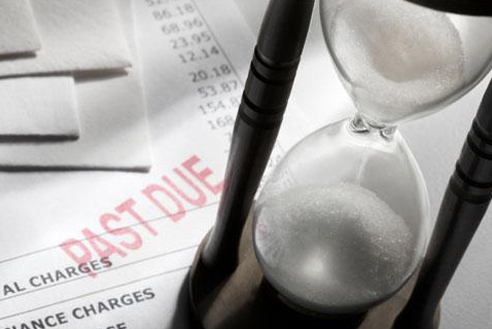 Unsecured debt refers to a type of debt that is not assured to the creditor by any collateral. Secured debt refers to debt that is backed by collateral to the creditor. American financial author and radio host Dave Ramsey has gained a following for his debt elimination technique, “The Seven Baby Steps”. American author, financial advisor, and television host Suze Orman advocates paying off the debt with the highest interest rate before any others.